One of the most critical questions in the retirement income planning process is, "When should clients claim social security?" There is, of course, no one perfect answer for everyone. You and your clients must evaluate the most appropriate timing for their unique financial situation. It's no surprise that clients turn to you—their trusted advisor—for help navigating through all the information, options, and questions. But are you yourself aware of all the nuances surrounding social security income? Here we present some of the basic concepts you need to know to help guide your discussions with clients and the decision-making process as a whole. Before delving into evaluating different social security claiming strategies, be sure to first discuss your client's vision for retirement, along with his or her existing retirement portfolio. 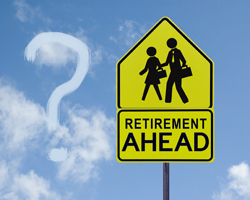 Next, work with your client to determine his or her full retirement age (FRA). You can find this in the chart below. Armed with this information, you can begin to weigh the various factors that may affect the monthly payments that your client receives—and help your client determine if it's better to receive a smaller amount every month as soon as possible or to wait for a greater amount later on. 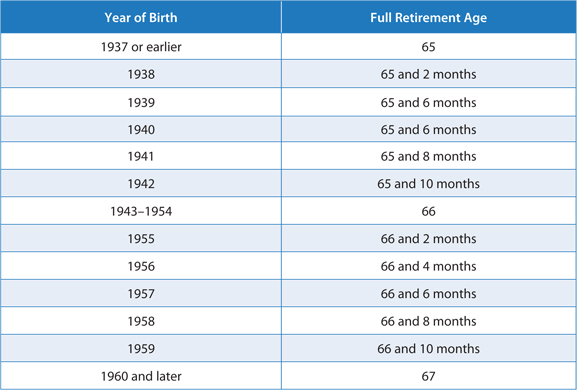 No matter their FRA, your clients are able to begin collecting benefits at age 62. This may be the right decision for some. Doing so, however, permanently reduces not only your client's benefits, but his or her spouse's survivor benefits as well. At FRA, your client is eligible for full social security benefits and can take advantage of different claiming strategies. For today's retiree—those born between 1943 and 1955—the "magic age" is 66. At this point, your client can elect to begin receiving benefits, choose to delay, or pursue another strategy to maximize spousal benefits. 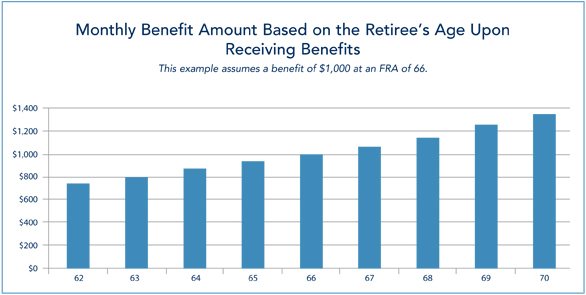 In addition, once your client reaches his or her FRA, benefits are no longer offset by earned income. If your client delays claiming benefits until after his or her "magic age," he or she will receive a larger amount—and lock in a greater benefit for his or her surviving spouse. In fact, clients who wait until age 70 can receive delayed retirement credits amounting to approximately 8 percent per year. The chart below further demonstrates the benefits of delaying. Be sure that your clients know that delaying past FRA does not mean forfeiting cost-of-living increases. Retirees who wait until age 70 to claim benefits will receive both the cost-of-living increases for the interim years, as well as the delayed retirement credits. 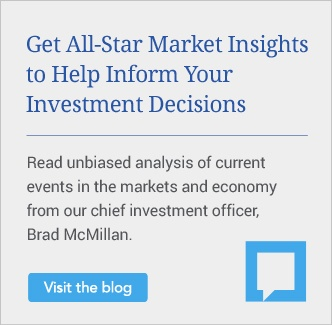 Of course, the decision to delay depends on the nature and amount of your client's other investable assets. If he or she decides to postpone taking benefits, your client must have a good understanding of how his or her retirement portfolio will bridge this gap. So, when should clients claim social security? The answer can only be found by evaluating many factors, not just the age at which to begin receiving benefits. 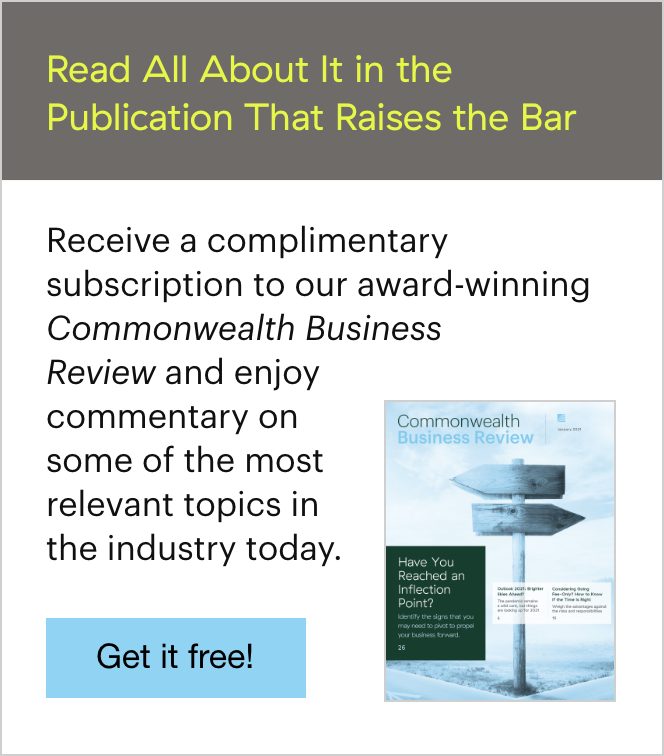 This information is a great launching point for analyzing your client's more unique circumstances and wishes, including how to maximize spousal benefits, survivor benefits, and benefits for divorced clients. Stay tuned for insight and tips on these very issues! Is social security a hot topic among your clients? What do you find most challenging about these conversations? Share your thoughts by commenting below.